Have you had those blah days – you know, when you wake up on the wrong side of the bed, feeling totally tired, just not 100%. BUT there is a packed day ahead which you cannot reschedule. Your skin looks dull, dry, a little irritated, just bad! (It probably isn’t THAT bad but we are our own worst critics, no?) You just want to stay home, in your comfortable bed. 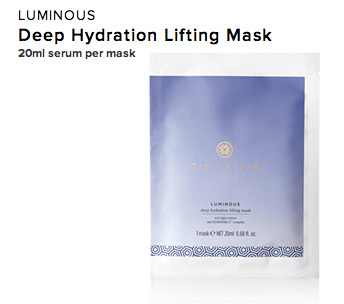 Cue Tatcha Luminous Deep Hydrating Lifting Face Mask. I am a big fan of Tatcha – its eyecream and lipbalm are part of my beauty essentials. See my Review here. So its facemask was on my “to do” list. 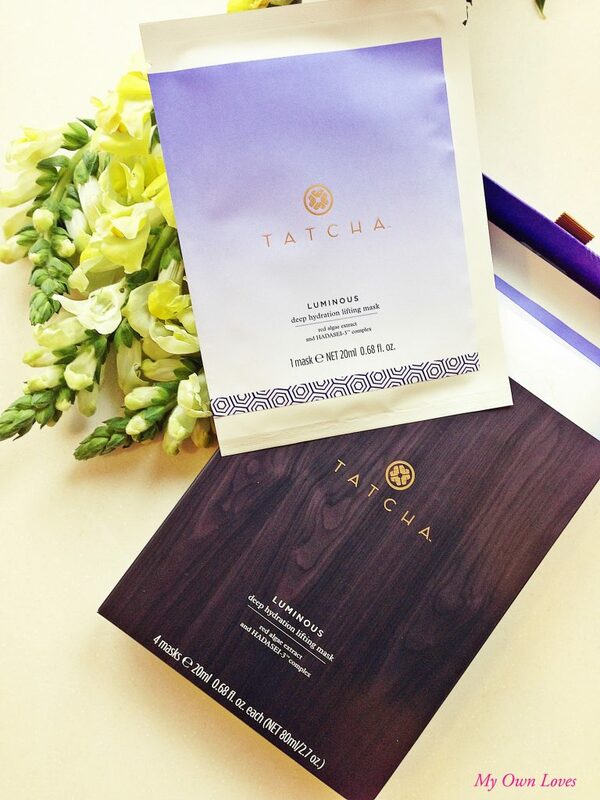 So, on that particular “bad” day, I reached for my newly delivered Tatcha mask. I ripped open the packet that contained a sheet mask drenched in red algae, green tea extract, ginseng root, royal jelly, to name a few. The mask has a firm gelatin-like texture that sits on the face firmly, ie it doesn’t move or fall off easily like some sheet masks do. Why it is special is because the mask is a biocellulose one, originally to aid healing for burn victims. It forms a protective layer on the skin to maintain hydration. The mask covers the face sufficiently with the eye/nose/mouth areas at the right spots. 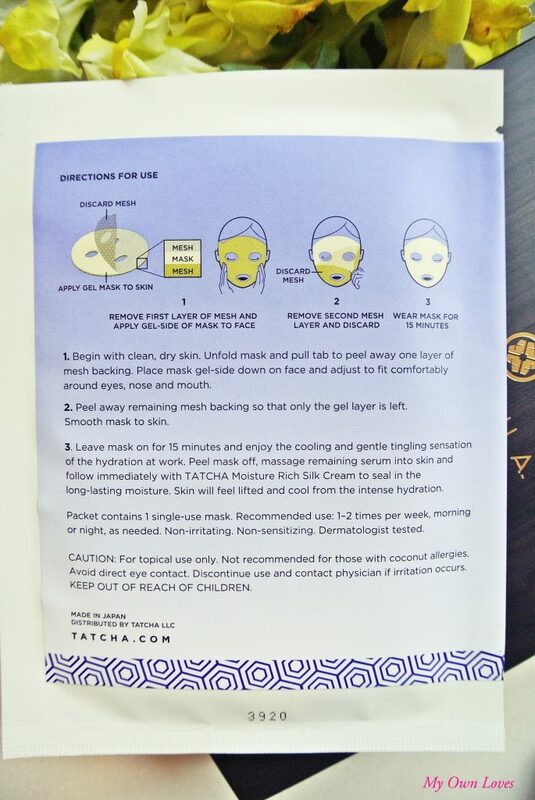 There are some masks that are too big or too small, but Tatcha gets the size just right. Upon placing it on my face, I immediately felt a cool tingly sensation that was so relaxing I managed to catch a catnap during that time. I was initially concerned that the tingly sensation would cause a flare up in my skin, but just the opposite happened. Yay! The instructions say to use it for 15 minutes but I left it on for 30 minutes. I expected the mask to dry up after a while, but it still felt like it could continue doing its work hydrating my skin. As soon as I removed it, I could feel the difference. I felt refreshed and my skin did indeed glow. It helped to calm down my irritated skin; the product was soothing and gentle. My pores had shrunk, my skin was rehydrated. I massaged the excess product into face and followed with facecream. The mask is easy to use and there is no fuss. No rinsing required. There was a lot of product left over in the packet, which I massaged into my neck and hands -both benefitted from the positive effects. Waste not want not! I need this mask whenever I feel exhausted.